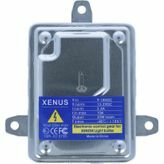 Is your xenon or LED control unit faulty? We can supply you with ORIGINAL spare parts and suitable accessories. For each vehicle, the latest models are purchased by the manufacturer from different suppliers, which look different from the installed ones or have a different part number. The functions are the same and they work just as reliably. The performance is also not impaired. BMW 6 Series F12 F13 F06 xenon LED, BMW 6 Series F12 F13 F06 xenon bulbs, BMW 6 Series F12 F13 F06 xenon LED control unit, BMW 6 Series F12 F13 F06 xenon LED ballast, BMW 6 Series F12 F13 F06 xenon LED power module, BMW 6 Series F12 F13 F06 xenon LED headlamps, BMW 6 Series F12 F13 F06 xenon LED headlight, BMW 6 Series F12 F13 F06 LED daytime running lights, BMW 6 Series F12 F13 F06 xenon LED lamps, BMW 6 Series F12 F13 F06 xenon LED replacement parts, BMW 6 Series F12 F13 F06 xenon LED spare parts, BMW 6 Series F12 F13 F06 xenon cable, BMW 6 Series F12 F13 F06 xenon LED electronics, BMW 6 Series F12 F13 F06 xenon LED replace control unit, BMW 6 Series F12 F13 F06 xenon LED buy control unit. Refer to YouTube.com to find out how to change the faulty xenon LED control unit in your BMW 6 Series F12 F13 F06. Just enter "xenon LED replacement BMW 6 Series F12 F13 F06" as the search term.